Only 35 calories per 1 cup serving!! 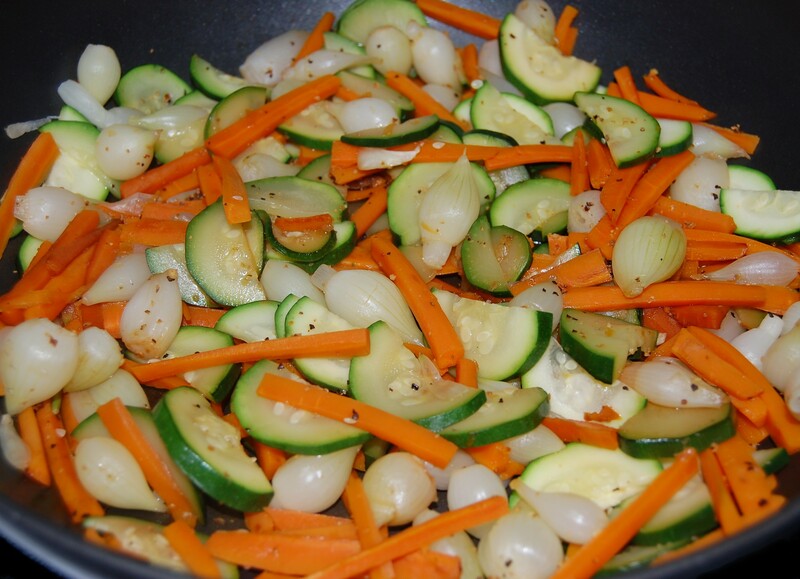 In a medium nonstick skillet, combine onions, carrots and water. Bring to a boil. Reduce heat, cover and simmer 4-6 minutes or until carrots are crisp-tender. 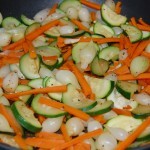 Add zucchini, cover and cook additional 1 to 2 minutes or until vegetables are crisp-tender, stirring occasionally. Remove from heat and stir in vinegar, lemon pepper and butter, if using. Cook's Note: If adding butter, it's 52 calories per 1 cup serving.